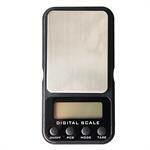 Scale capacity: 100 grams x 0.01 grams, Weighing modes: g, oz, ozt, dwt, Super low cost economical scale, 3 key easy operation, Back light for easy lighting. 2 AAA batteries included. 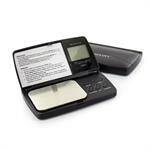 The Fuzion FV (350 x 0.1g) is a lightweight professional digital pocket scale. 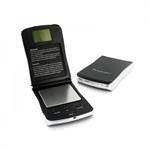 The scale is protected by a flip-top cover and comes with a 10 years guarantee. 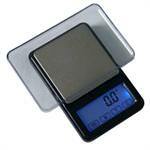 The Scale Fuzion FW-350 is a light weight digital scale. It can weigh up to 350 grams with a precision of 0.1 g.